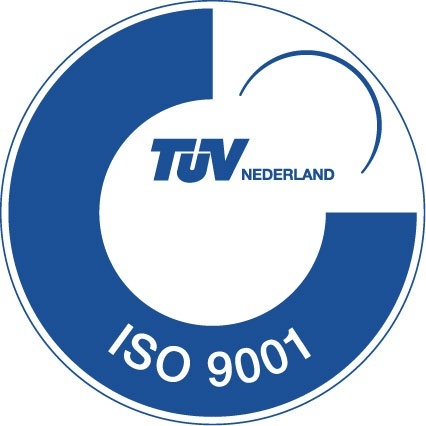 2018 started well at OpenSesame ICT, with the ISO 9001:2015-certification. ,,Important", technical director Nico de Vries explains: ,,OpenSesame ICT stands for quality. It's in our DNA en it's what we offer our clients with OpenIMS. We develop quality manuals with them and for many of our clients OpenIMS is a constant improvement engine. Naturally we have designed our own business processes in the same way and some day you need to take the time to have that quality inspected. Independently and demonstrable. For we can be convinced we have all processes tuned optimally, but you don't want to be the butcher that inspects his own meat. Hence the ISO-certification. First step 9001, next step this year 27001:2013. The ISO 9001:2015 certification affirms what clients already know: OpenSesame ICT always lives up to her agreements, no-nonsense. Which is possible because all processes are in order and comply with laws and regulations. ,,Our people walk their talk and we constantly improve. Therefor this certification was relatively easy. ISO 27001:2013 will be more demanding. It's mostly about security of data. Not only that OpenIMS and our cloudhosting are secure, those are secure. Also that our people manage our business information even more conscientious. This requires a different mindset, thoroughly." The certification facilitates the business development Wieger Kunst is responsible for: ,,In European tenders a tick suffices whereas in the past we needed to demonstrate our complete quality manuals. For prospects it's more convenient too: without any effort they know we deliver quality and continuously realise improvement. In the near future more and more organisations will demand it. And ISO 270001:2013, our focus for this year, even more so."